Rebelscum.com: Hasbro: SDCC Exclusive Forces of Destiny Chewbacca and Porgs Photos! 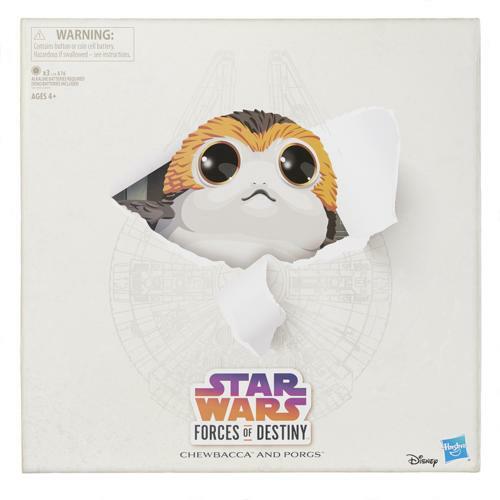 Hasbro: SDCC Exclusive Forces of Destiny Chewbacca and Porgs Photos! 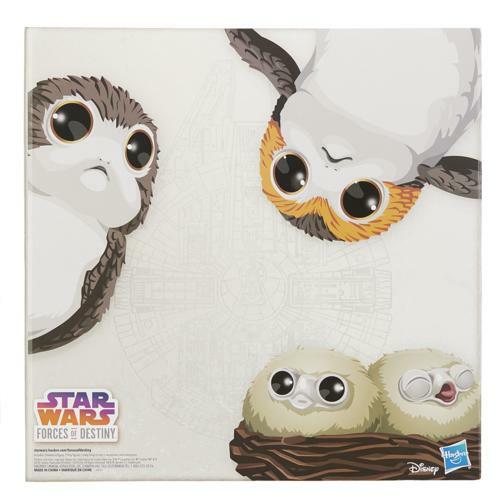 Journeying to the sacred island of AHCH-TO, CHEWBACCA meets the PORGS, a curious avian species found throughout the secluded island. 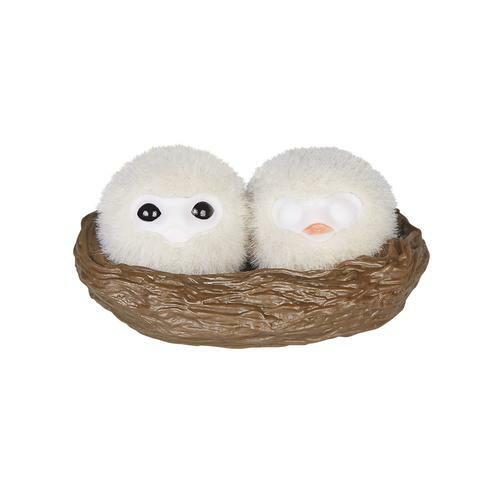 This detailed CHEWBACCA figure is lavishly furry and makes true-to-entertainment sounds when activated, while the PORG figures feature soft flocking that makes them a delight to hold and feel. The package carefully recreates the cockpit of the Millennium Falcon, making it perfect for display, and is sure to delight collectors and fans alike. 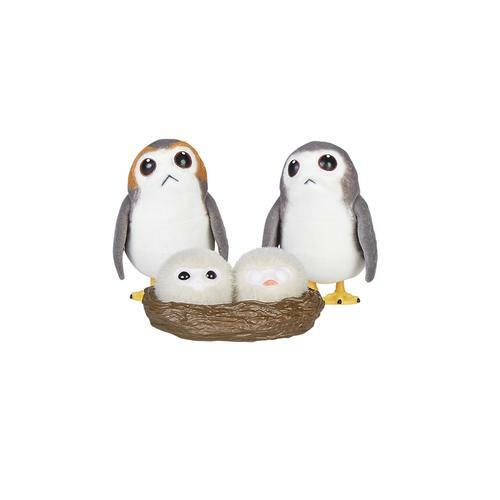 Includes 11-inch CHEWBACCA figure, two PORG figures, PORGLET nest with two baby PORG figures, and two accessories. Requires 3 A76 alkaline batteries, included. 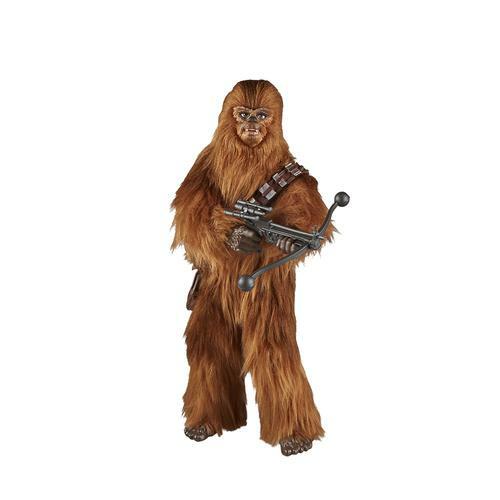 The STAR WARS FORCES OF DESTINY CHEWBACCA AND PORGS will be for sale at San Diego Comic-Con 2018. Limited quantities of this item will be available at select conventions and select online retailers after the convention in the relevant market (including HasbroToyShop.com where available). Good while supplies last. 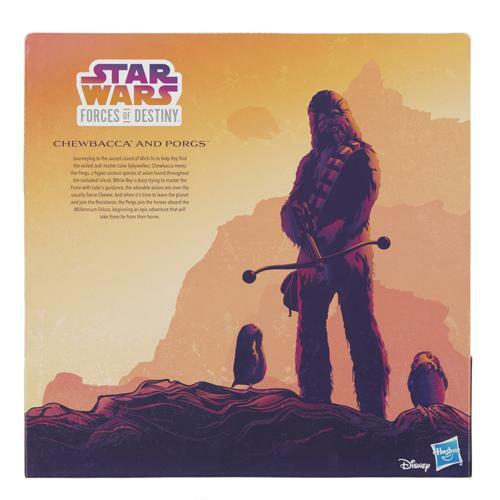 July 7, 2018 Hasbro: New Forces of Destiny SDCC Exclusive Revealed!